In the past when you needed to transfer files online, most would setup an FTP server and it would allow for easy transfer of large amounts of data. Now with the cloud services offering the same ability with added features, which will survive? Will FTP still have a place in transferring and sharing data? To determine which will reign supreme, we must look at the features of both FTP and cloud services, the pros and cons, and which cases each service may be the most effective choice. From home users to large corporations, and even web designers, many have utilized the ease of FTP data transfers. 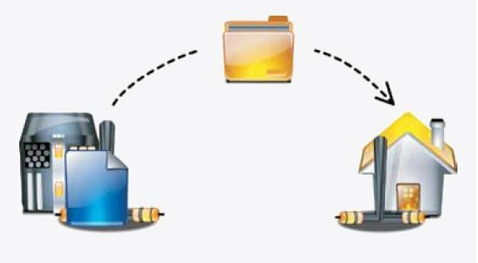 FTP not only allows you to transfer files to online storage from your home computer, upload it into your web host, or share files with friends, it also allowed remote access to your files hosted on your home FTP server. As with any technology, there are cons. Security was a major issue with FTP servers both at home and work. As FTP needs to open additional ports in order to access it, this creates holes in your firewall. In order to share files with others, they need to access your home or company network in order to access the files, this gives them access to your infrastructure. Security has increased a bit since FTP first became popular, but there are still risks. Along with access security, FTP never allowed for traceability. There was no way to see who accessed what. This allowed for anyone able to connect to the FTP server to access whichever files were shared without you being able to see who it was and what they downloaded. With the introduction of the cloud, services have been popping up all over. Many companies and even individuals are already making the switch from FTP and hard copies to the cloud. This allows remote access to the files uploaded on the cloud and sharing of the files you deem sharable. Security is increased as cloud files are stored in the cloud, access is granted to those files, and no access is given to your company’s infrastructure. As the files are stored on the cloud, whoever you are sharing with can log into the cloud and get the files from there. One feature that FTP has that the cloud does not, is the ability to access your computer from home. With the cloud, you can only access the files you uploaded. With FTP, you can set your server to access your entire hard drive. For some users, this is enough of a reason to stay with FTP. 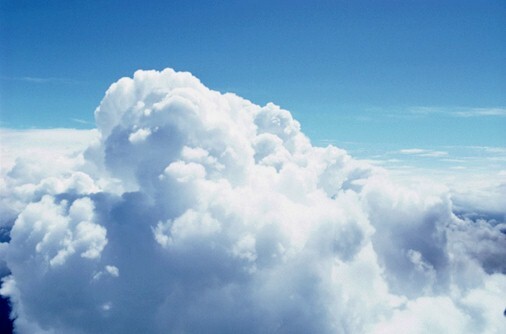 With the cloud still being new technology, some services have yet to convert to the cloud. For instance, some web hosts still have not made the change. For blog and site owners who want to upload large amounts of data to their web host, FTP is still the only option. Cost is also a con. While FTP servers can be setup by using free software, cloud services come with a monthly cost. The cost is also based on the amount of data stored, users with access, and bandwidth used. For larger companies, this cost can be substantial, for home users, incurring a cost where there was once no cost is not always possible. Whether the cloud will overtake FTP as the file transfer, share, and storage standard will basically come down to users, services, and their preferences. Even with the versatility, ease, and security offered by the cloud, FTP will always have a place in data transfer and file sharing. Jeremy Thompson is an IT professional using Filezilla FTP client to create a server for accessing files on his home computer from work. Cloud is a big joke. I tried using owncloud for a arch linux server, it all went smooth. But it took me some time to relearn its own diktat. I felt very stupid since ive set up servers and host websites using linux and open source tech. Cloud is a fancy word. I can setup and do file transfers with ftp, vsftp, rsync etc and monitor and throttle the line with iptables…all this in a few seconds. With owncloud i spent a week trying to transfer files and have access to an ‘hdd’ which was stuck at a limit of 500MB !!!!! The servers i setup do transfers of 2 TB a day. Cloud will never be able to provide control and transparency like ftp. This is a funny article. Clearly they do not know the technical differences, because there are none! The security differences he mentions can also be made with an FTP server. “Cloud” is a marketing term applied to existing services, so the Lehman can understand. You can easily create a web portal using ajax html5 that integrates with a ftp site, voila! …”cloud services”! That’s why so many companies are popping up! I think FTP will last forever. Despite new services are coming up, the old internet transfer protocols will last. On the other hand, with clouds you are giving your data to 3rd party people. Call me paranoid but I do not really trust my content just like that.